Synology RS2414rp+ SLOW READ PERFORMANCE. I setup 2x SSD's samsung 1TB on raid1 that is gonna be used for a few VMs for the next 2 months. i setup raid 1 with BTRFS. Setup a single lun with advanced features. connected to it with ms iscsi initiator. Everything works. I see the drive, i initialize it and format it with NTFS. The Rackstation is connected with 1 gb cable to a gigabit switch. Jumbo frames 9000 enabled. What i have an issue is, when i run atto benchmark on it, all the READS are maxed out at jokingly 5 to 11 mb/s?? The write speeds are doing better but not by much until i reach bigger files. I am monitoring cpu and network usage on the GUI but there is absolutely no load / stress on the machine. Supposedly this rackstation can do better than that?. - Tried SMB3 mapped drive = no difference. - Turning off all unnessercary services = no difference. 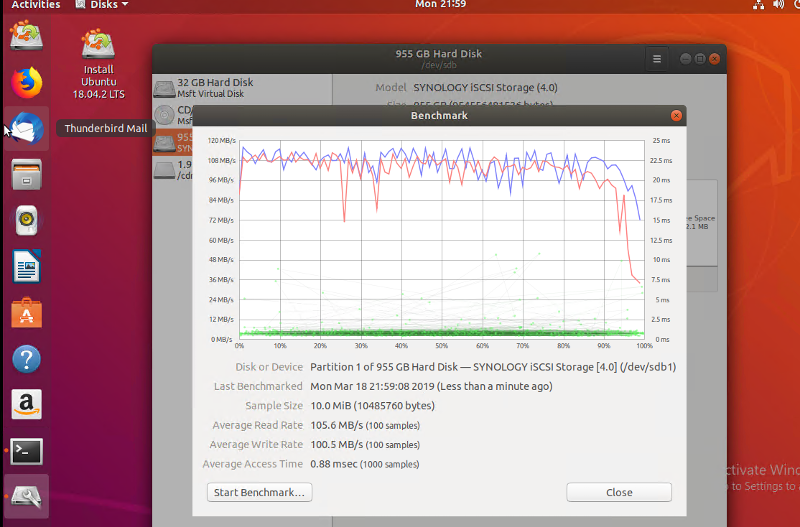 - Tried the raid "Sync faster" options = gave better results with normal operation but benchmark still shows bad. 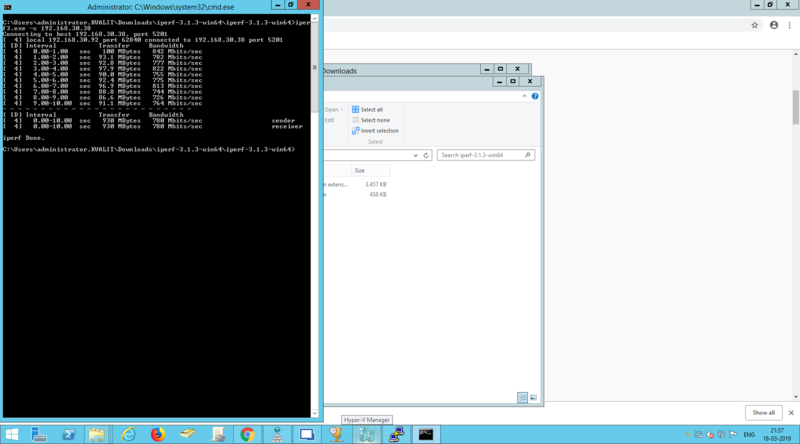 - Tried directly cabling servers to the SAN with ip (no gateway). Same issue. - Tried adding 4 TB WD reds. Same bad performance on read. There is no MPIO setup.. just single Gigabit connection with iscsi. Any device on the switch can transfer gigabit speeds with no issue. The 11 mb/s cap looks suspiciously like maybe your routing table has set a 10mb/s interface card with a preferred network metric, where traffic sometimes flows over a slower pathway. Setup iperf3 + test your raw IP speed, then move on to testing your DNS lookup correctness (same IP from all NS servers), then move on to checking your routing table has correct metrics to prefer fastest network at all times. I just ran iperf between the RP2414rp+ and local server. See attached for result. It looks fairly normal for a gigabit connection. So why is server 2016 / 2019 not doing well? How do we fix it on windows? Alright. I found the answer.